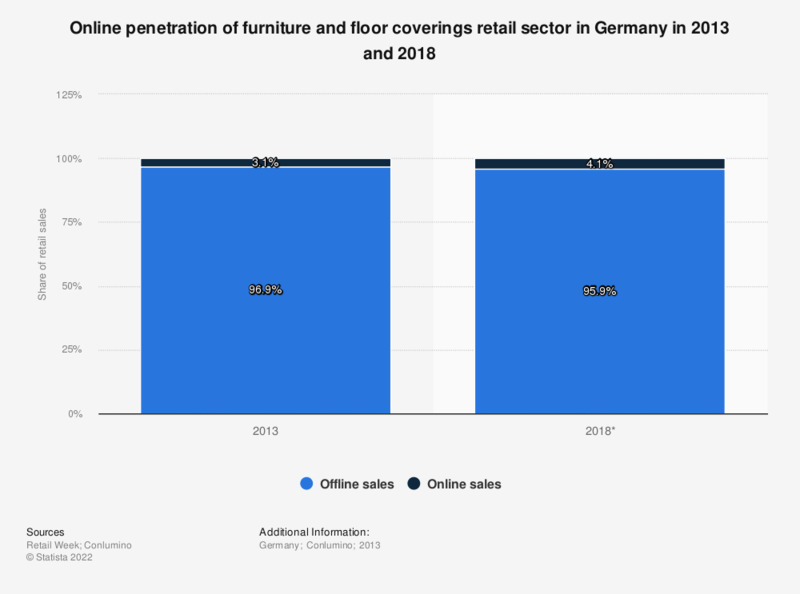 This statistic presents the online penetration of furniture and floor coverings retail in Germany, showing the share of online and offline retail sales in 2013 and with a forecast for 2018. In 2013, online sales made up 3.1 percent of sales of furniture and floor coverings in Germany. This is predicted to increase to 4.1 percent by 2018.